In a natural peach-apricot (that the pearl trade, in all their wisdom call “pink”), these pearls are ultra-flattering throwing a beautiful glow onto your face. 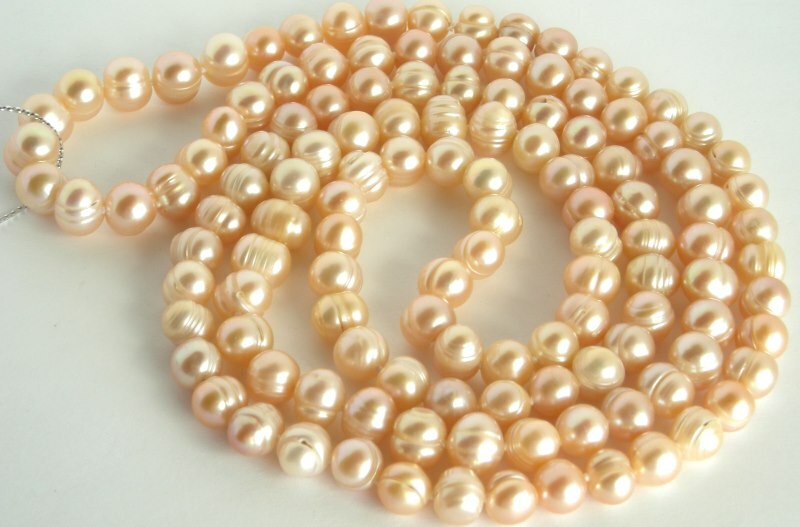 And after all, it’s a bit hard to go wrong with a classic strand of pearls! 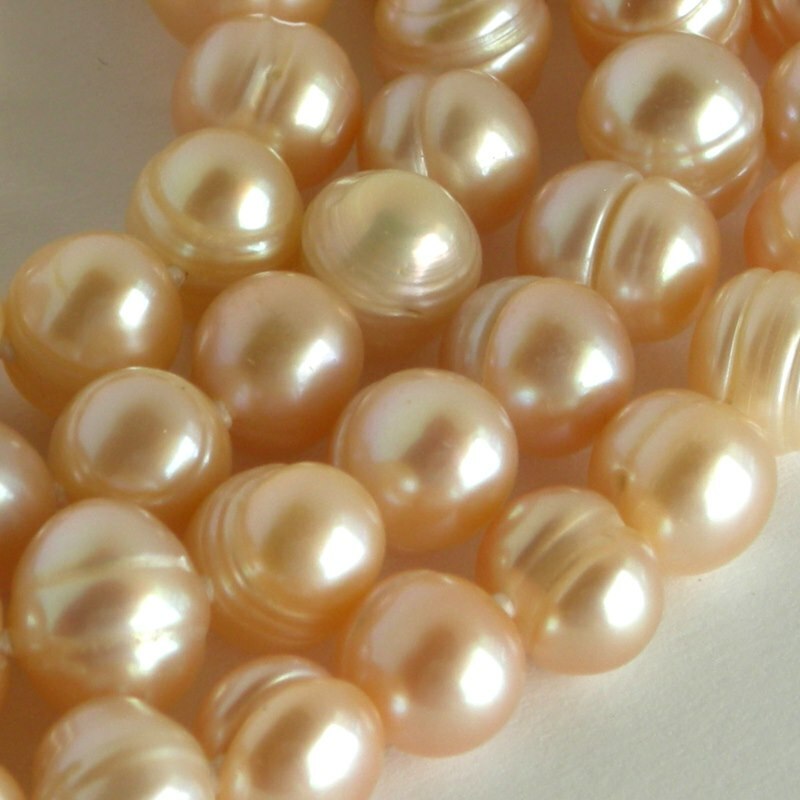 These are not perfect pearls but that only adds to their individual beauty. 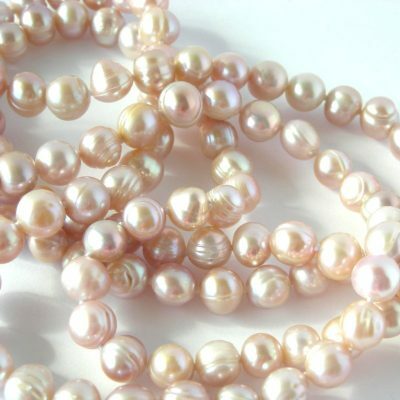 Such a timeless strand will be worn often – they’re so easy and go with so much that you will find yourself reaching for them time and time again. Perfect for a lunch out with the girls, a romantic dinner for two or even every day to work. 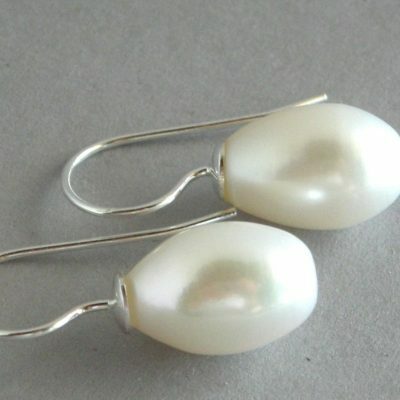 Should you happen to be a bride one day soon, they will also look lovely with a vintage style gown. 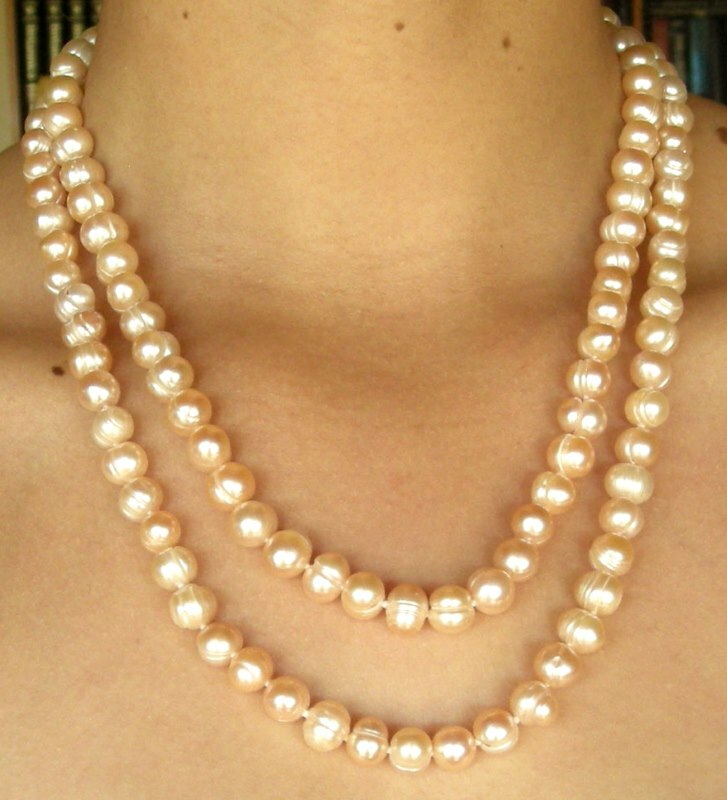 An endless strand (no clasp) at a useful 40 inch (101cm) length you can wear it doubled to a 20″ (50cm) length or wear it long. A 46 inch (117cm) is also available, select the length you prefer. Note: photos are of the 40 inch length.